Beaulieu's Simply Land Rover celebrated the 70th anniversary of Britain’s favourite 4X4 with record participant numbers, an off-road driving course and a Land Rover-themed autojumble to make 2018’s rally the best yet. 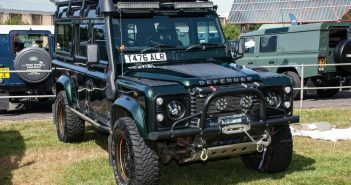 501 Land Rovers of every age and model joined the display in the grounds of the National Motor Museum, up by 25 per cent from last year, with as many as 1091 participants enjoying the baking sunshine and admiring the impressive selection of off-roaders on show. A brand new feature of the show for the Land Rover’s anniversary year was Simply Rummage, an autojumble dedicated to spare parts for Land Rovers. Eager enthusiasts snapped up lights, wheels, seats and engine parts for their treasured vehicles, while those searching for larger parts for their projects could choose from doors, bonnets and even a complete front bulkhead. A highlight for many enthusiasts was the return of the Beaulieu Forest Drive. This action-packed feature, held in association with Land Rover Experience West Country, was a perfect opportunity to practice off-road driving skills. Land Rovers of all ages were put through their paces on the forest course, including a rare 1982 Carmichael Commando six-wheeled Range Rover, still in its historic RAF Fire & Rescue livery. Rally participants and visitors had the chance to vote for their favourite Land Rover of the show in the People’s Choice Awards. The winner was Gary Williams from Wargrave with his 2000 Range Rover P38 2.5 DHSE. Gary is very proud of his all-original Range Rover, which has had just two owners from new. “I love the fact that it is in excellent condition,” said Gary. “I don’t use it for going off-road but we do use it for towing a caravan on holiday.” Gary was presented with an Autoglym car care pack by Beaulieu’s Commercial Director Steve Munn. The runners-up were Michael Smith with his 2011 Land Rover 90 Defender and Christopher Pendred with his 1964 Land Rover Series IIA. Lifelong enthusiast Michael from Botley enjoys his 90 as the most modern of his collection of Land Rovers, while Christopher from Kent had restored his Series IIA and its matching Brockhouse trailer to as-new condition. They were both presented with special Autoglym prizes by Beaulieu’s Commercial Director Steve Munn. The varied selection of Land Rovers on display ranged from 1950s Series Is, right up to modern-day Defenders, while every generation of the popular Discovery was represented, including examples that had been heavily modified to tackle extreme terrain. 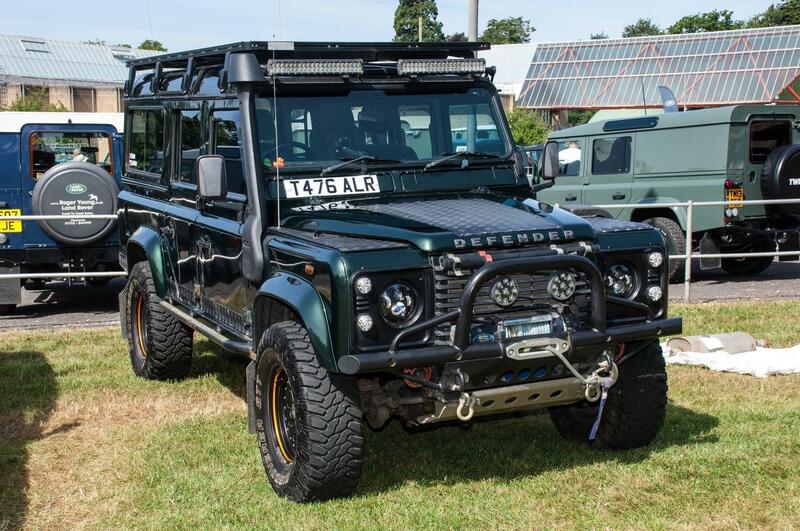 The ex-military Land Rovers on display included Lightweight versions and an ambulance. A rare sight was a 1969 Velar Range Rover prototype from the Dunsfold Collection of historic Land Rovers, parked alongside the latest Range Rover Velar that was inspired by it. Several of the Land Rovers on display were kitted out with everything their owners could need for an adventure, including roof tents, while a rare 1970 Dormobile camper version featured a pop-up rising roof. Club displays were at the heart of Simply Land Rover, with the Solent and District Land Rover Club, Cheshire Land Rover Club, Range Rover P38 Owners South Coast, Land Rover Overland Club and more featuring members’ vehicles on their club stands. Simply Land Rover is one of nine Simply rallies at Beaulieu in 2018. Still to come are Simply Jaguar on July 8th, Simply Japanese on July 29th and Simply Smart on November 11th. For tickets or more details see www.beaulieu.co.uk/events. No items matching the keyword phrase "land rover" were found. This could be due to the keyword phrase used, or could mean your server is unable to communicate with Ebays RSS2 Server.